Create your first episode, which can be an audio or video recording or a text document. Podcasts can be in the M4A, MP3, MOV, MP4, M4V, PDF, and EPUB file formats. Post the RSS feed, cover art, and your episodes on a server that supports byte-range requests and a publicly accessible URL. Support for byte-range requests allows users to stream your episodes. 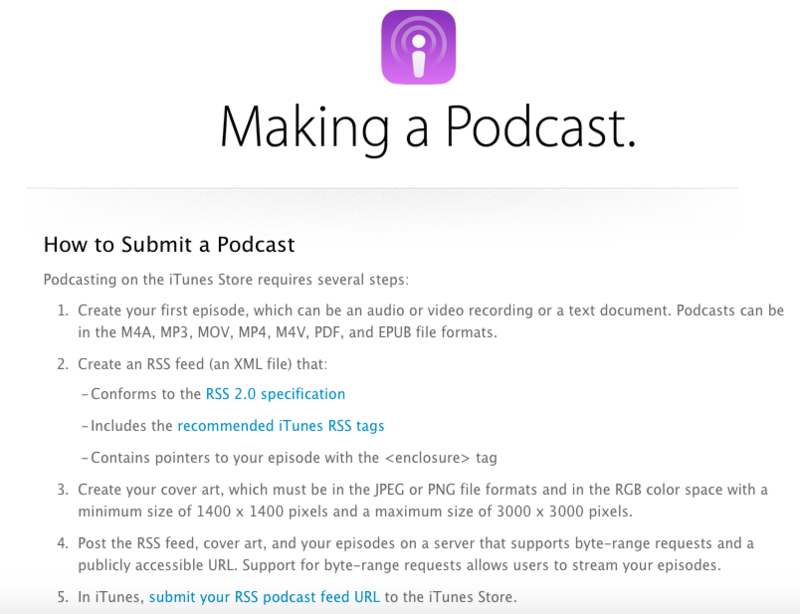 In iTunes, submit your RSS podcast feed URL to the iTunes Store.